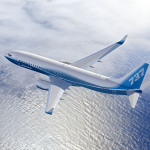 "This historic agreement not only continues the 35-year Alcoa-Boeing partnership, it will take our collaboration on next-generation metallic technologies even further"
NEW YORK & DAVENPORT, Iowa--(BUSINESS WIRE)--Leading aerospace manufacturer Alcoa (NYSE:AA) has signed a long-term contract to supply aluminum sheet and plate products to Boeing, the world’s largest aerospace company and leading manufacturer of commercial jetliners and defense, space and security systems. The multiyear contract, valued at more than $1 billion, is the largest ever between the two companies. Notably, the agreement makes Alcoa sole supplier to Boeing for wing skins on all of its metallic structure airplanes. 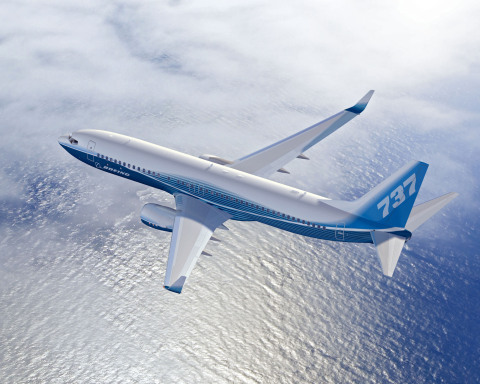 Alcoa plate products, used in applications such as wing ribs, wing skins or other structural parts of the aircraft, will also be on every Boeing platform, including the 787 Dreamliner. Finally, the agreement establishes a foundation for continued collaboration on new, high-strength and corrosion-resistant alloys, including aluminum-lithium that could be used for complex structural applications. Alcoa’s aerospace business, which had revenues totaling $4 billion in 2013, holds leading market positions in aerospace sheet and plate produced by its midstream business, Global Rolled Products (GRP) and in aerospace forgings, extrusions, jet engine airfoils and fastening systems produced by its downstream business, Engineered Products and Solutions (EPS). Additionally, Alcoa announced in the second quarter that it had signed a definitive agreement to acquire Firth Rixson, a global leader in aerospace jet engine components. The acquisition will further strengthen Alcoa’s robust aerospace portfolio, positioning the Company to capture additional aerospace growth with a broader range of multi-material, value-add jet engine components. This release contains “forward-looking statements” within the meaning of the Private Securities Litigation Reform Act of 1995. Forward-looking statements include those containing such words as “anticipates,” “believes,” “estimates,” “expects,” “forecasts,” “intends,” “plans,” “projects,” “may,” “should,” “will,” or other words of similar meaning. 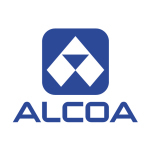 All statements that reflect Alcoa’s expectations, assumptions, or projections about the future other than statements of historical fact are forward-looking statements, including, without limitation, statements regarding Alcoa’s proposed acquisition of the Firth Rixson business, including the expected benefits of the transaction; and statements regarding Alcoa’s strategies, outlook, and business and financial prospects. Forward-looking statements are not guarantees of future performance and are subject to risks, uncertainties, and changes in circumstances that are difficult to predict. 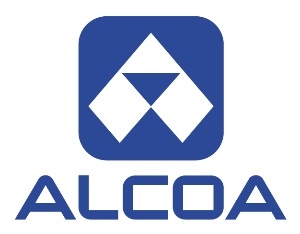 Important factors that could cause actual results to differ materially from those expressed or implied in the forward-looking statements include: (a) unfavorable changes in general economic conditions or in the markets served by Alcoa, including the aerospace market; (b) failure to successfully implement, or to realize expected benefits from, new technologies or processes, advanced alloys, including aluminum-lithium, or other innovative metallic products and solutions; (c) failure to receive, delays in the receipt of, or unacceptable or burdensome conditions imposed in connection with, all required regulatory approvals, or the inability to satisfy the other closing conditions to the proposed Firth Rixson acquisition; (d) the possibility that certain assumptions with respect to Firth Rixson or the proposed transaction could prove to be inaccurate; and (e) the other risk factors discussed in Alcoa’s Form 10-K for the year ended December 31, 2013, and other reports filed with the Securities and Exchange Commission. Alcoa disclaims any intention or obligation to update publicly any forward-looking statements, whether in response to new information, future events or otherwise, except as required by applicable law.